Multi-level freerunning, with movable obstacles, landing and touch points, to make your practise as challenging and fun, whatever your level. 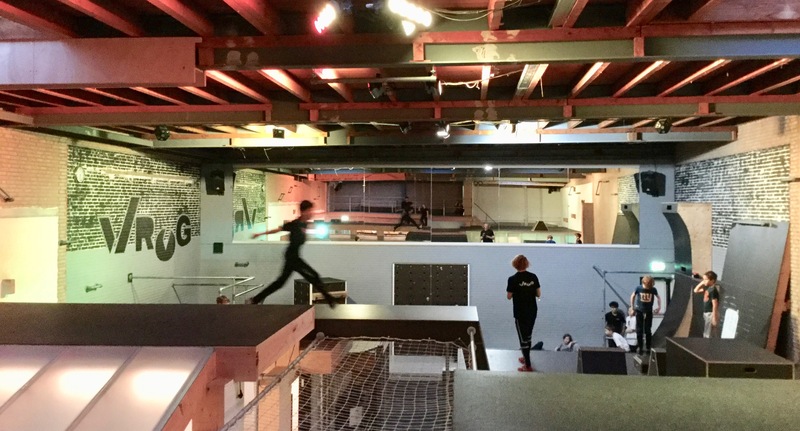 Weekly training by experienced teachers, from 6 years old to adults: freerunning/parkour, combo for kids (trampoline + freerunning), Young Parkour Academy for young talented freerunners, trampofit & trampo bootcamps for adults, evening jam. 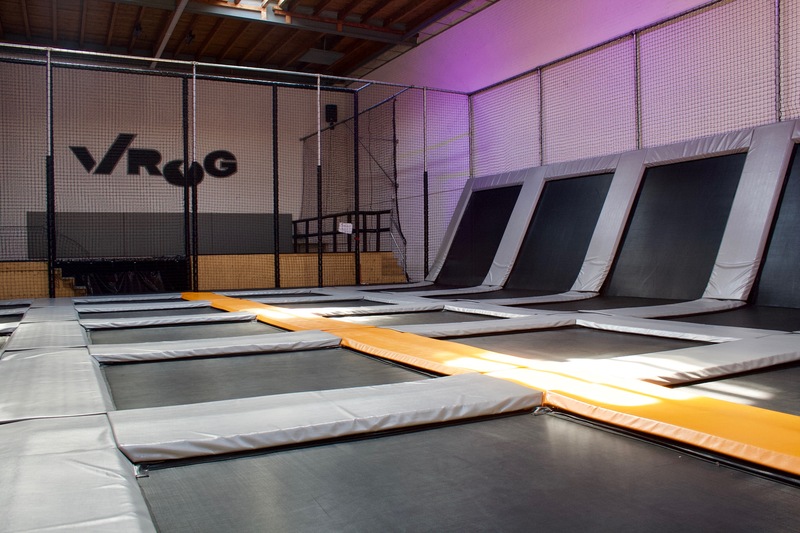 Giant trampoline field with 30m2 airbag for fun, to bounce and to practice moves and saltos. Relaxing café, serving great coffee, various snacks and other drinks. Separate room for parties, meetings & private events.